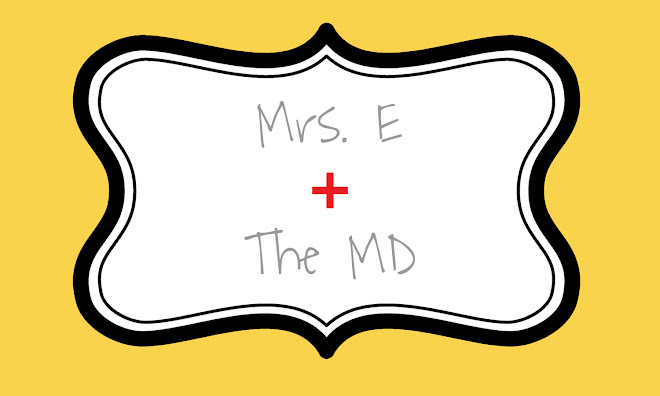 Mrs. E and the MD: Congrats, Luke! Luke had a great day today. He got a great board score...and...he got a baby! Well, he didn't get a baby today...but he will get one in about 7.5 months (on or around March 22). I have been keeping the secret since Saturday. I didn't know the right time to tell him. Thankfully, I had this adorable onesie made a couple weeks ago for "when the time comes." It was too cute to pass up, and since today was the day of the board score relief, I thought the doctor theme should continue. Do you think it's positive? Am I falling off the wagon?